A solicitor for an alleged repeat car thief begged a sheriff not to jail his client because of a skin condition. 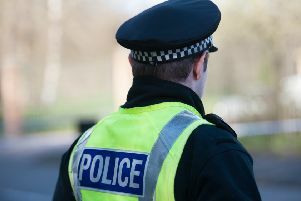 Lee Brown (38), who suffers from rampant psoriasis, was arrested on Wednesday night in connection with two car thefts – a 2006 Skoda Fabia from Grangemouth on October 24 last year and a 2002 Fiat Punto from Falkirk on December 16 – and driving them while disqualified and without insurance. By the time he appeared from custody at Falkirk Sheriff Court last Thursday he had been taken to hospital twice from his police cell with a “very bad” outbreak of the disabling and disfiguring condition. Brown, of Tamfourhill, denied the charges against him. Seeking bail, his solicitor John Lanigan told the court: “He was taken in and required to be admitted to hospital twice with very bad psoriasis before being released back into police custody. “His hands and feet are extremely inflamed and he was treated in hospital for the condition. He has been prescribed a new form of medication which I understand is an immune suppressant, meaning he is susceptible to infection and his ability to fight any infection is reduced. Sheriff John Mundy refused bail and remanded Brown in custody to face summary trial on February 1.